bringing many years of experience to the solution table. Colong Valery Nyiawung is a technology entrepreneur and change agent who is passionate about using technology to solve rural development challenges. Born into a family of growers, Colong has experienced firsthand the challenges faced by rural farmers. This experience drives his relentless quest for a solution to farmers’ market access challenge. Colong often refers to AGRO-HUB as “the Unilever for small and neglected brands”. Colong has a B.Sc. in Physics and Computer Science and has over 10 years’ experience in the field of ICT Entrepreneurship and Software Development. As a techpreneur, he is cofounder of two technology companies (AfroVisioN Group and Zinger Systems) and a technology incubator (ActivSpaces). He has served as Lead Developer for VC4Africa – a platform that connects African entrepreneurs to investors – and as Senior Developer for Mokolo TV – an African movie database initiative by Goethe Institute. When Colong is not designing and executing strategies to efficiently get farmers’ produce to markets, he spends this time coding and building IT tools to solve other business and development challenges. 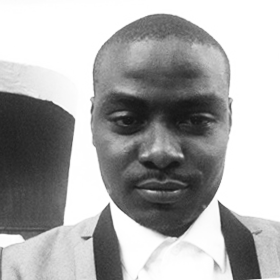 Ernest Atem is an agripreneur based in Buea, SW-Cameroon. Born into a family of growers, he has experienced firsthand, the challenges faced by rural farmers. Trained in project management, Atem is particularly skilled at realizing projects executed within rural communities. Before Cofounding AGRO-HUB, Atem served at some prominent local and international Organizations like ERuDeF/FFI, YAF, where he realized numerous rural development and microfinance projects in over 300 communities across Africa. Like all of us at AGRO-HUB, Atem believes Agriculture is the Future and Organic Food will become the next precious commodity. This motivates his involvement in innovative agricultural ventures including his very own aquaponics farm. Atem has also founded other successful businesses like Agro-World and Deliotti Corporations Ltd. He is also the Country Director of Future Agro Challenge, a worldwide challenge of young agripreneurs; harnessing his 10 years in the field of Livelihood and Rural Development. Atem has a B.Sc. in Sociology and Anthropology and a Masters in Project Management and Fundraising both trainings that has served him well in his involvement in community development projects. 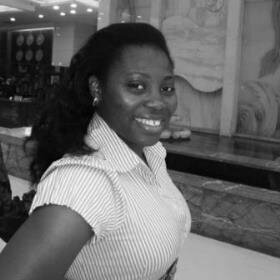 Dr. Stephanie Mvodo is a university lecturer, researcher, reviewer and agribusiness consultant. She is very thrilled about topics relating to agriculture and rural development. Her focus is on post-harvest activities among which, marketing and entrepreneurship. She is mostly concerned about development of agricultural sector via development of supply as well as distribution channels. A public speaker in many agri-entrepreneurship events, Stephanie is energetic, dynamic, friendly, outspoken with great interpersonal qualities. Laye Mbunkur is a social entrepreneur and trained marketer particularly skilled in BoP marketing where online marketing will make no sense. As a marketer, Laye has challenged himself to help find a sustainable solution to the marketing challenge faced by small scale producers (farmers and processors) in Cameroon. This challenge naturally led him to AGRO-HUB which shares similar ambition. Laye occupies the position of the National President of JCI Cameroon and also serves as Chief of Business Center for a multinational telecommunications company. Laye holds a Master’s in Business Administration with specialty in Marketing from the Advanced School of Economics and Commerce (ESSEC) of the University of Douala. He possesses a professional Diploma in Marketing from the prestigious Chartered Institute of Marketing – London. 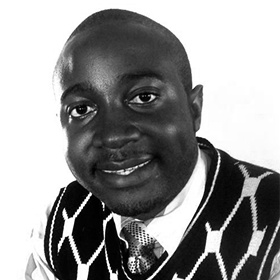 In addition to this, Laye is a Certified Local Trainer with the JCI University and a Small Business Development Coach. Ignatius Chunga is a young, ambitious and energetic gentleman equipped with skills in logistics, procurement/supply chain management and warehousing/stock management. 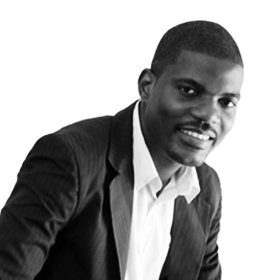 Owing to his background, Chunga resonates with AGRO-HUB’s vision to become a leader in marketing and distribution of Cameroon’s agricultural products across Africa. Chunga knows his skills will be a great asset to AGRO-HUB if we are to maximize Africa’s agricultural potential which is predicted by the Worldbank to be a trillion dollar industry by 2030. Chunga holds a B.Sc. in Economics and has obtained CILT UK LEVEL 5 with 6 professional Diplomas in Logistics, Transport, Supply Chain, Sourcing and Procurement. Paul Kode is a BBC trained broadcaster emeritus who is now a freelance journalist. 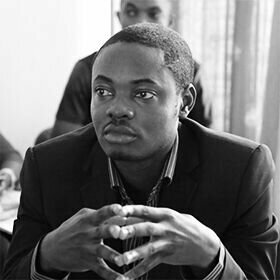 Kode is a passionate development problem solver who enjoys working with youths to solve development challenges of their time – a quality that led to his involvement with AGRO-HUB. 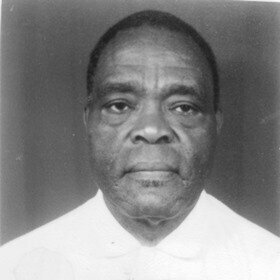 Currently, he serves at AGRO-HUB in dual capacity as Chief Editor and Liaison Officer. Ebesoh Dexter is a Medical Doctor and a self-taught Artist and Graphics Designer who is fascinated by nature’s beauty and healing power. Ebesoh believes healthy feeding is the number one preventive treatment for most diseases. Ebesoh is leading all AGRO-HUB’s graphic design activities and he is championing one of our core objectives – to make agriculture attractive to youths – as good design is a must have to attain this objective. When Ebesoh is not actively saving lives at his duty post, he spends his free time designing for AGRO-HUB and working on Medical Illustrations. 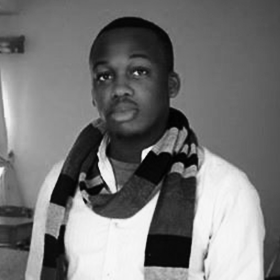 Charles Mofor is a trained Marketer and self-taught freelance Cinematographer and Video Editor. Mofor loves everything video and did not hesitate when we invited him to employ his skills to promote agriculture among youths in Cameroon. The web is going more visual and youths love visual – it is easy to see why Mofor’s video skills will be an asset.